RedLine Athletics, the national leader in youth sports training, today announced the promotion of Chance Pearson to its new Chief Executive Officer. Former CEO and owner John Leonesio will continue to serve the business as Chairman of the Board. Chance brings a wealth of consumer and fitness experience to the company, having spent the last 20 years in the health & fitness industry. "I am truly excited for my expanded role in this terrific business," said Chance Pearson. "RedLine Athletics is a pioneer and leader in the youth sports training. The leadership team, our franchisees and the RedLine Athletics community have done an outstanding job in developing the brand. I look forward to leading the team as we position the business for future and further success." "I believe that under Chance’s leadership, becoming a part of the RedLine brand will be more attractive and affordable than ever." John Leonesio said. 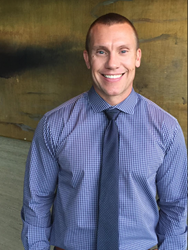 "Chance and his team are working on several professional and affordable franchise options that will not only complement our traditional training centers but also empower emerging fitness enthusiasts with the tools needed to transform a passion into a viable career"
RedLine believes youth athletic training should be comprehensive, convenient, professional and affordable. Each 90 minute session encompases movement prep, speed & agility, sport specific skill work, as well as age appropriate strength development. RedLine understands that ability is without value when an athlete is sidelined due to injury which is why they have partnered with Fusionetics. This partnership allows RedLine to incorporate risk management & injury prevention into their deliverables. Ultimately RedLine’s focus on movement efficiency helps their athletes decrease the amount of time lost to injury and expedites return to play for those who have suffered a setback. This attention to detail in conjunction with classes starting at the top of every hour, and no appointments necessary are a few of the ways RedLine is separating themselves from the rest of the youth athletic training field. John Leonesio is recognized expert in the health, wellness and franchise industry, with more than 40 years’ experience. In the 1970's, Mr. Leonesio co-founded Scandinavian Health Spa's, growing it from one club to 40 clubs before selling to Bally Health and Fitness in 1985. In 1990, he co-founded The Q, the Sports Club, growing it from one unit to 20 units in ten years, before selling to 24 Hour Fitness. In 2002, Leonesio founded Massage Envy. In just six years, he took it from concept to a $300 million operation with more than 800 licenses awarded. He became the CEO of The Joint…the chiropractic place in 2010 which grew from nearly 20 locations to more than 400 franchises awarded in 3 years John is the Chairman of the Board for RedLine Athletics Franchising and is overseeing development and growing the RedLine Athletics franchise system.